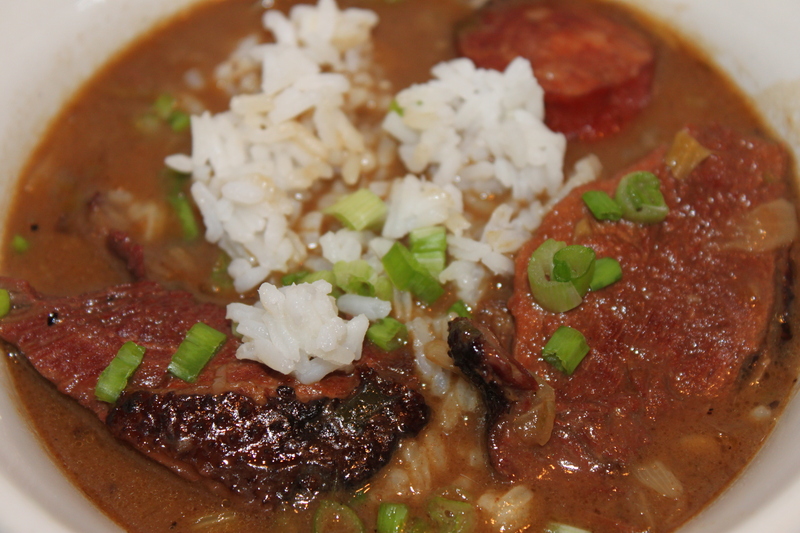 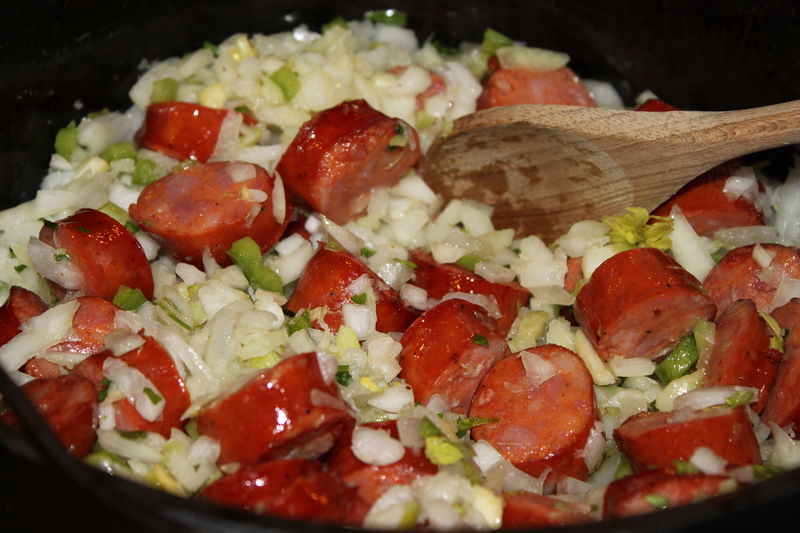 7 Day Gumbo Marathon – Day 6…Smoked Duck and Andouille Gumbo! 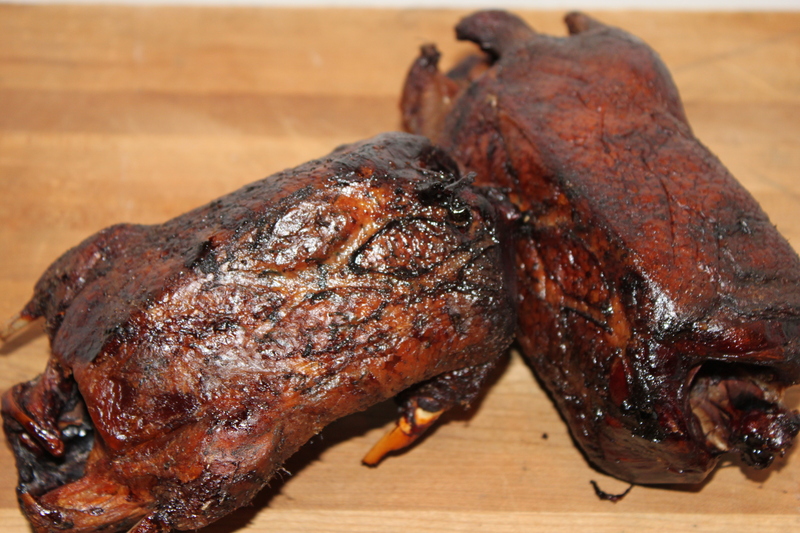 On charcoal grill, build fire adding hickory chips, on one side of pit. 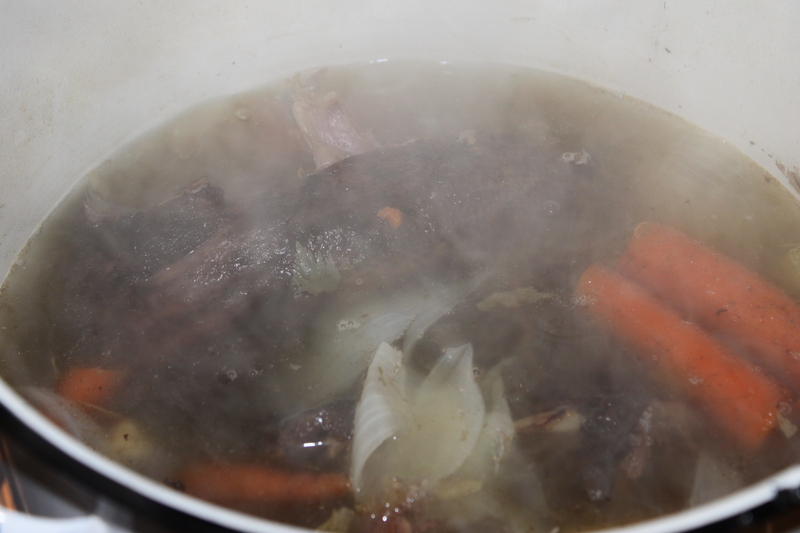 Place bones, skin, 1 onion, 1 bell pepper, 1 celery stalk and 3 carrots in 2 quarts of boiling water. 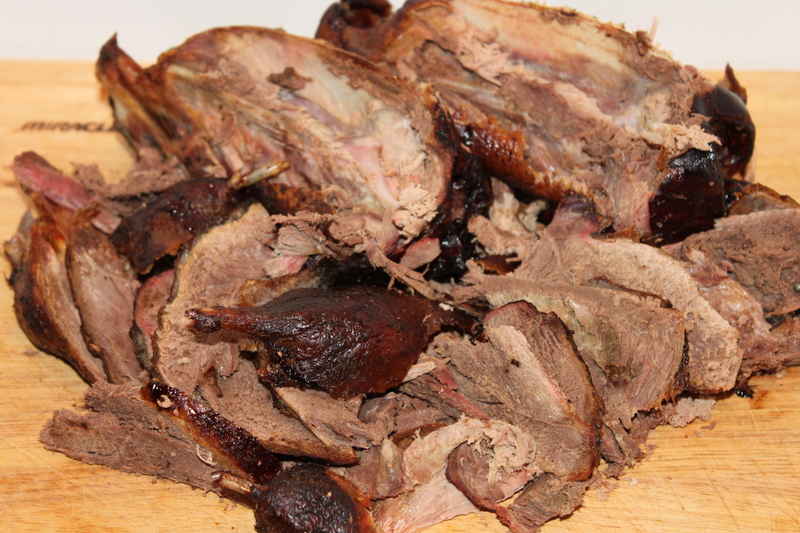 Return reserved duck meat to pot and cook for another 1 1/2 hours. 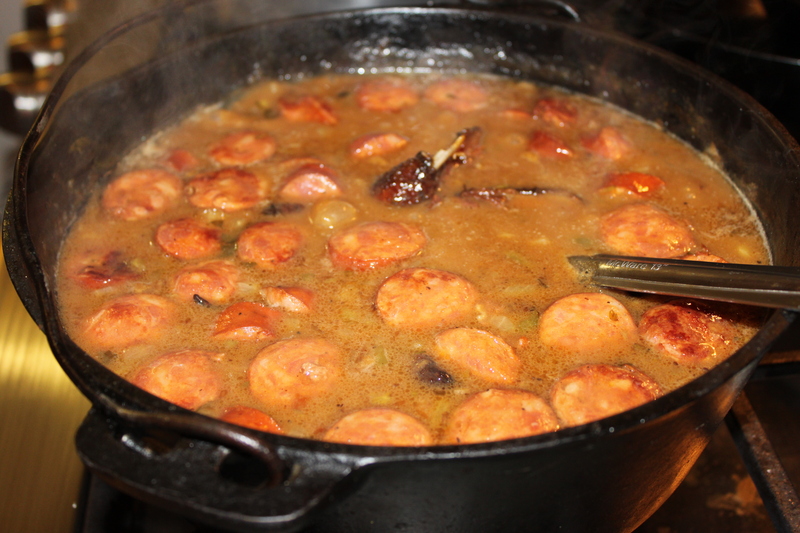 I can tell you that this is the “King” of all gumbos for every man and most women I know, hunter or not! 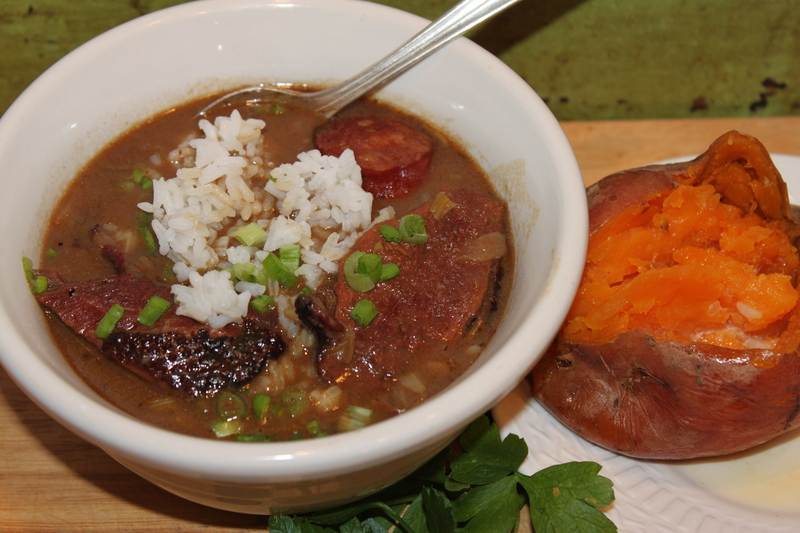 During duck season, this will absolutely be the gumbo of choice at any camp or home where ducks can be found…Now, the cook may not make it to the table and sometimes can be found in a recliner, snoring, while everyone else is slurping down their bowl of gumbo – and for God’s sake, don’t wake up the cook!